I am an Indiana At-Large Democratic Delegate that is going to Philadelphia, PA. As an elected Chief Union Steward and a Community Activist, I understand the importance of American Democracy and believe it is my civic duty to protect our freedoms and rights. I believe in the political agenda, principals, and values of Senator Sanders and I worked tirelessly for the Bernie Sanders campaign to help secure his win in the Hoosier state. My children traveled on the campaign trail with me as I taught them that they too need to be apart of this Democratic process. 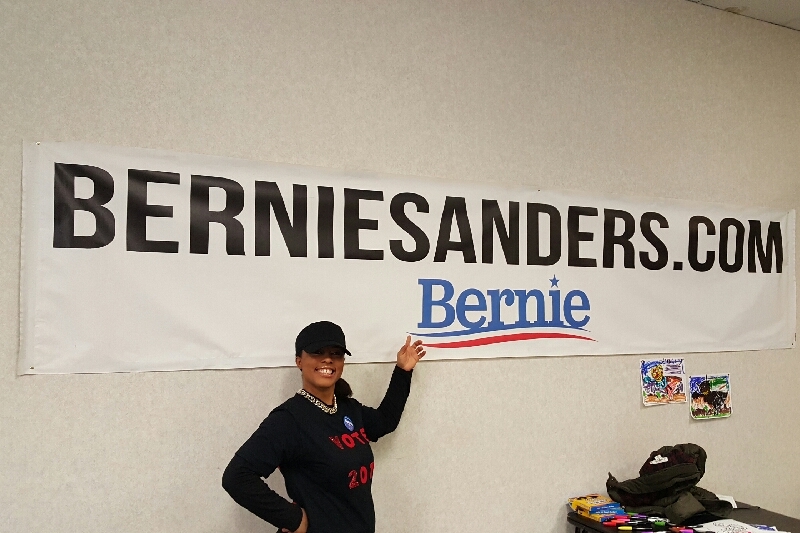 I not only traveled from city- to- city in Indiana campaigning for Senator Sanders, but I also traveled to neighboring states canvassing for the Revolution. I wrote a newspaper article, phone banked, rallied, and walked the streets EVERYDAY for months campaigning for Bernie. I ask for your support to assist me on my journey to Philadelphia, PA to show a strong support not only for Senator Bernie Sanders, but also the one percent of Americans who want a political revolution. Thank you for going and representing us. Let them know that the people want BERNIE.